Southmoor is a beautiful neighborhood of single family homes that is conveniently located 15 minutes outside of Downtown Denver. You will find this neighborhood to the East of I-25 and South of Hampden Avenue. 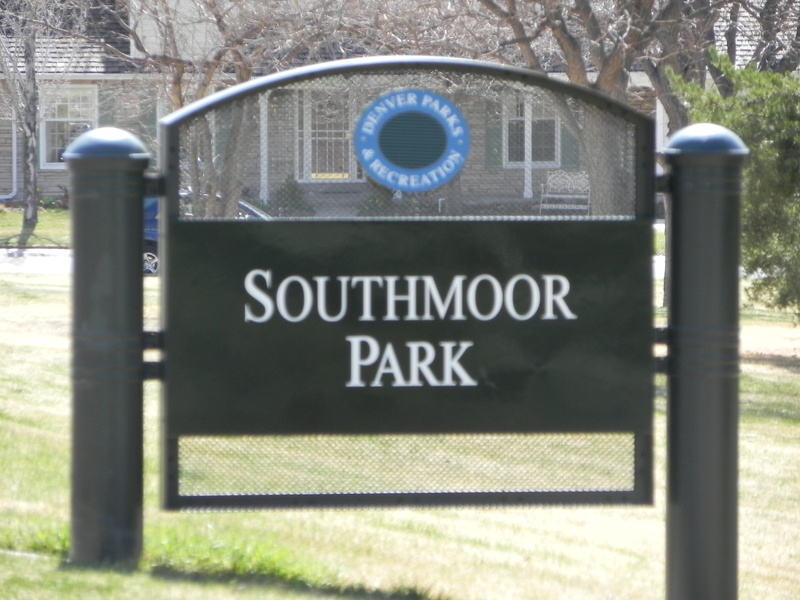 Southmoor Park is located on the North side of the neighborhood and a great place if you want to invite a large group for a barbecue or a game of volleyball or soccer. Living in Southmoor you have shopping and retail close, and a couple light rail stations for easy access to the South or into Downtown Denver. Southmoor is a 5 minute drive or a short bike ride if you work in the Denver Tech Center. The homes you would expect to find for sale in the Southmoor Neighborhood are generally going to range between 1,500 square feet to 2,800 square feet. You will find many ranches, two stories and a few tri-levels and tri-levels with basements. All homes in Southmoor have basements, a few with walk-out or garden level basements. These homes were built in the 60's and 70's, but many have had extensive remodels. 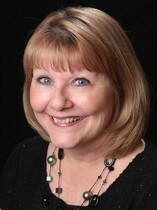 Southmoor is known for the large lot sizes ranging between 10,000 and 14,000 square foot with mature landscaping. 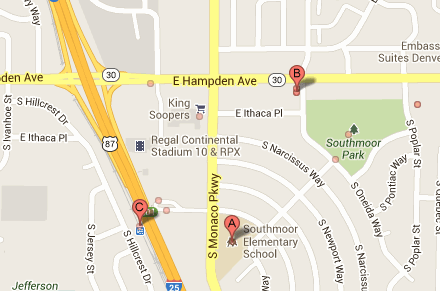 Southmoor is located in South Denver within a few minutes to Tamarac & Tiffany shopping centers. There is a major hospital less than 5 miles from the neighborhood as well as many restaurants options within a 5 minute drive. You will enjoy the Tiffany Plaza 6 & the Continental 10 that plays all the current films throughout the year. If you buy a home for sale in the Southmoor Neighborhood of Denver CO, the children will attend Samuels or Southmoor Elementary School, Hamilton Middle School, and Thomas Jefferson High School. To get local school scores and more information about these schools check out the Denver Public School website.